^ "Young Adult Book Market Facts and Figures". The Balance. Retrieved 26 March 2018. ^ Kitchener, Caroline. "Why So Many Adults Read Young-Adult Literature". The Atlantic. Retrieved 26 March 2018. ^ Michaud, Jon (14 October 2014). 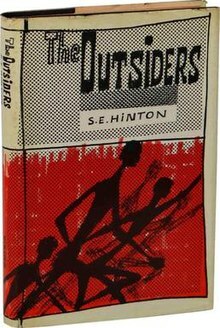 "S. E. Hinton and the Y.A. Debate". The New Yorker. ISSN 0028-792X. Retrieved 2 May 2018. 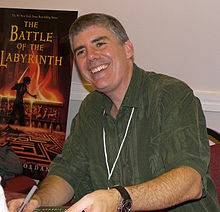 ^ a b "Qualities of Young Adult Literature | Education.com". www.education.com. Retrieved 1 April 2018. ^ "Explore the Themes and Genres of Young Adult Books". blog.whsmith.co.uk. Retrieved 1 April 2018. ^ "YA Genre-Blending | Focus On | School Library Journal". www.slj.com. Retrieved 1 April 2018. ^ a b Wetta, Molly. "What is New Adult Fiction, Anyway? | NoveList | EBSCOhost". www.ebscohost.com. Retrieved 25 March 2018. ^ a b c d Naughton, Julie (2014). "New Adult: A Book Category For Twentysomethings by Twentysomethings". PublishersWeekly.com. Retrieved 25 March 2018. ^ Sarner, Lauren (14 August 2013). "The Problem With New Adult Books". Huffington Post. Retrieved 25 March 2018. ^ Donahue, Deidre (2013). ""New Adult" is growing up and finding its way". libproxy.highpoint.edu. Retrieved 25 March 2018. ^ "Social problem novel | literature". Encyclopedia Britannica. Retrieved 4 April 2018. ^ "Popular Problem Novels Books". www.goodreads.com. Retrieved 4 April 2018. ^ Hays, Alice (8 July 2016). "Using Young Adult (YA) Literature in a Classroom: How Does YA Literature Impact Writing Literacies". Study and Scrutiny: Research on Young Adult Literature. 2 (1): 53–86. doi:10.15763/issn.2376-5275.2016.2.1.53-86. ISSN 2376-5275. ^ a b "Children's Books by and About People of Color". ccbc.education.wisc.edu. Retrieved 26 March 2018.